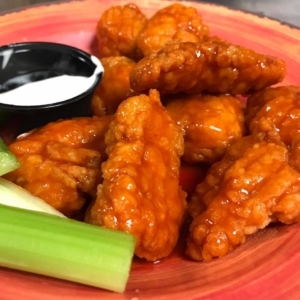 50 cent traditional or boneless wings! Hot, mild, Asian, boom-boom, sweet chili tequila, BBQ, butter garlic, mango habanero. Served with crisp celery and bleu cheese dressing.